Treat someone who could use a pick-me-up to our famous pears and best-of-season apples—each among the most delectable fruits that we offer. 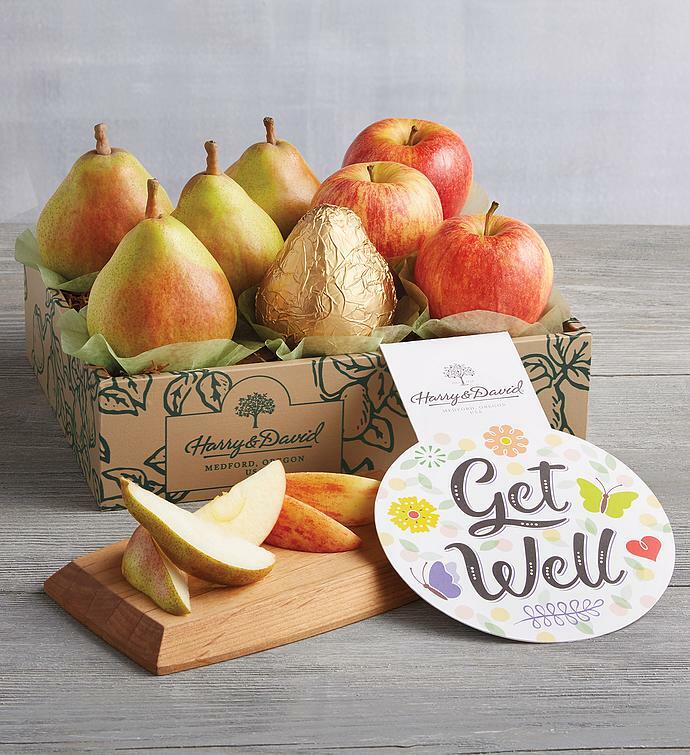 Our gourmet pears and premium apples are grown in carefully tended orchards and picked by hand. The pears, beautiful on the outside and juicy on the inside, make the perfect accompaniment to the sweet, crisp apples. Includes a "Get Well" message to show how much you care.